You probably put a lot of thought into choosing sulfate, phosphate, and paraben-free shampoos and conditioners that won’t weigh down your strands, strip them of too many natural oils, or harm your hair in any way. You want your hair products to clean and condition without any unwanted side effects. If you’re not putting the same amount of thought into the products you leave on your hair as the ones you rinse away, you’re wasting a prime opportunity to protect your precious strands and keep them healthy and gorgeous. What can you do to protect your hair after a shower? There are several steps you can take to make sure the care you lavish on strands in the shower carries through to your entire day. You might think one towel is as good as the next when it comes to drying your hair, but some are definitely better at protecting your luscious locks than others. A microfiber hair towel provides the speedy absorbency of microfiber cloth with a twist and loop system for securing even long hair as it dries. When you tousle your tresses with a towel, you’re going to cause tangles, frizziness, and breakage, not to mention lingering bits of lint in your hair. You won’t have any of these issues with a microfiber turban, especially when you pair it with protective oils, serums, and masks. Whether your hair is curly or straight, coarse or fine, you’re going to want to run something through it after a shower to work out the tangles, evenly distribute product, and prep for styling. A wide-tooth comb is the best all-around product for this purpose, and you can pick one up at most any pharmacy or beauty supply store on the cheap. There’s nothing quite like a silky-smooth blowout to perfect your coif, but you can do serious damage to your strands when you heat treat daily. To avoid the damage of heat treating, skip the hair dryer altogether and let your tresses air dry whenever possible. If you must blow dry, at least some of the time, consider purchasing a blow dryer that works to prevent damage. 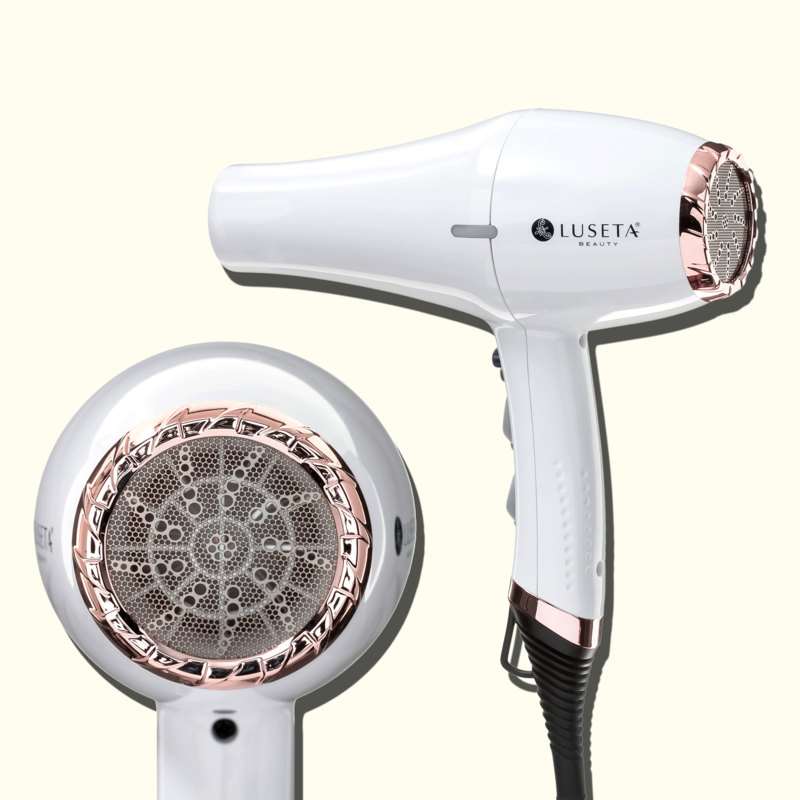 The Luseta Hair Dryer features a powerful 1875-watt DC motor, tourmaline technology, three heat settings, two speed settings, and other features designed to dry your hair fast while causing less damage. 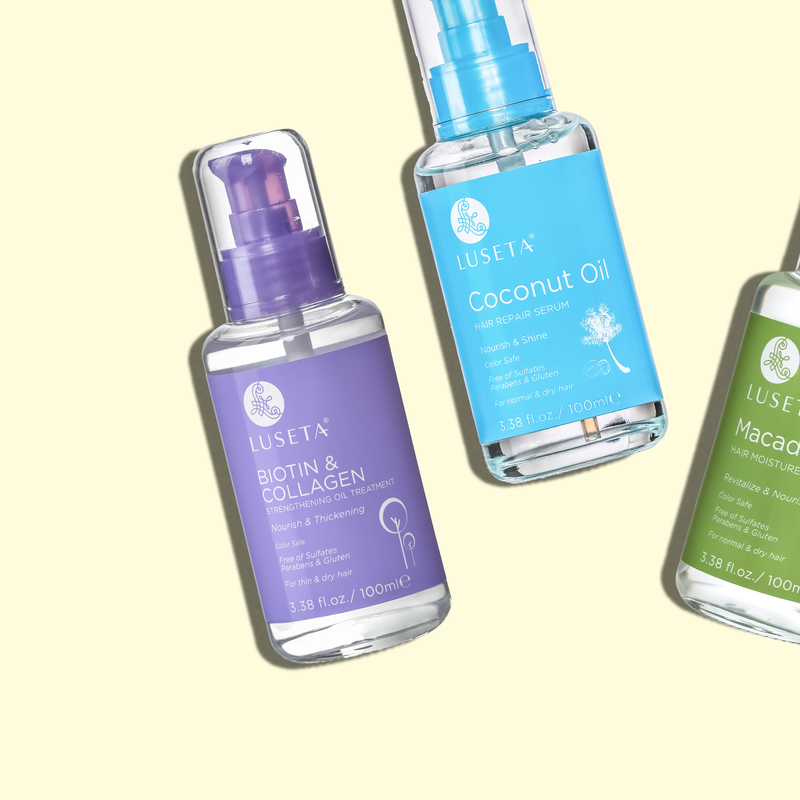 You’ll also get the Luseta Argan Oil Heat Protectant Spray with your purchase to ensure the best chance to keep your hair silky, smooth, and free of breakage with every blowout. Whether you heat treat, dye, or perm your hair (or all of the above), you can do a lot of damage. Even the environment can harm your hair. What can you do to keep it safe from the moment you step out of the shower in the morning until your head hits the pillow at night? With specialized oils, serums, and masks on your side, you can not only reverse damage, but also protect your mane all day long. The right products will not only nourish dry and damaged hair, but they’ll be free of potentially harmful ingredients like sulfates, phthalates, and paraben. Before you put your blow dryer, curling iron, or flat iron to work taming your tresses, make sure to put a barrier between the hair follicle and heat. The Luseta Argan Oil Heat Protectant Spray provides a safe, easy, and effective way to shine and smooth strands, reduce drying time, prevent breakage, and weightlessly protect against the ill effects of heat on your hair. Improves manageability and controls flyaways.